Welcome to NYC School of Data 2019!! 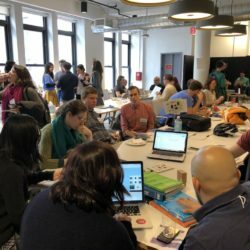 NYC School of Data is a community conference lifting up the City's #civicdesign, #civictech, & #opendata voices. Content on this site is created by BetaNYC and is licensed as Creative Commons Attribution - Share-alike content. Businessx theme designed by Acosmin.